What: Celebrating & exploring the life/legacy of KC native/jazz great, Charlie “Yardbird” Parker™. Where: KC Jazz Clubs, American Jazz Museum, 18th & Vine Jazz District, Lincoln Cemetery (Parker gravesite) and other historical KC locations. 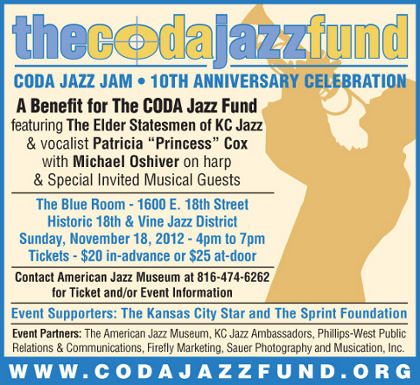 The 3rd Annual Kansas City Charlie Parker Celebration (CPC) will again explore and recognize the legacy of one the most influential saxophonists and jazz icons to ever perform. 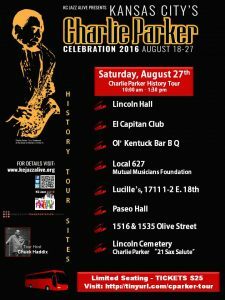 The Celebration, a comprehensive Charlie Parker tribute, continues to grow locally and gain recognition through the U.S.
Parker was born in 1920 in Kansas City, Kan., and moved in 1927 to Kansas City, Mo. 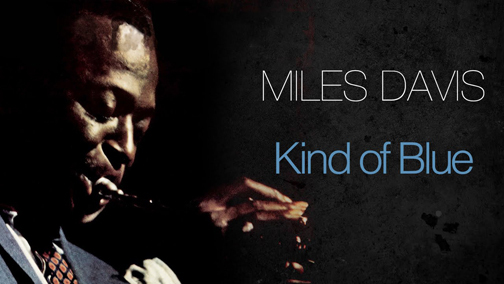 — where jazz was flourishing and the city was one of several ports instrumental in ushering in the musical improvisation style of Bebop, which Parker is identified with.